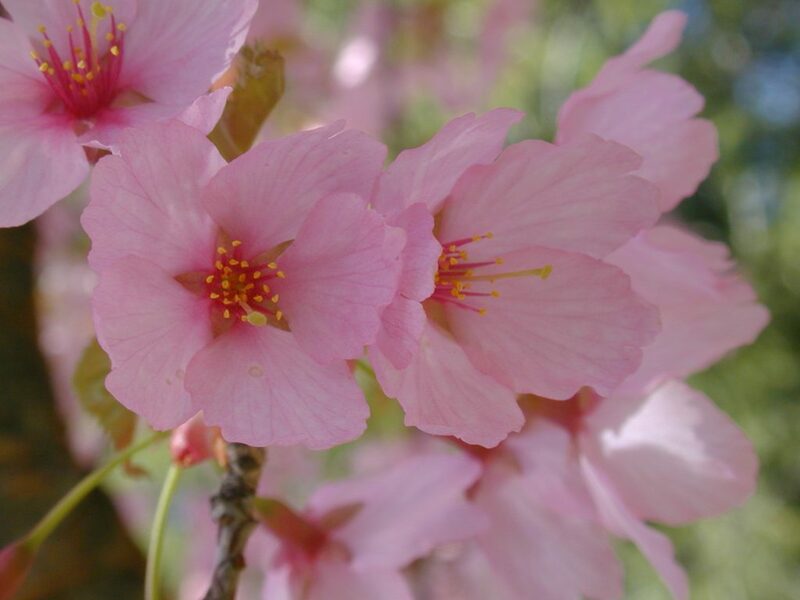 This week we're celebrating the Dream Catcher Flowering Cherry. This tree is categorized by its Large, single, clear pink flowers that cover its upright branches that expose dark green foliage. Fall brings orange-red to purple foliage color. A choice for a specimen tree for small yards, group plantings or as a street tree. It can grow up to 25' tall and 15' wide. Easy to care for, the birds love to hang out in this beautiful tree. 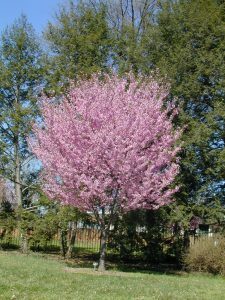 This week we’re celebrating the Dream Catcher Flowering Cherry. 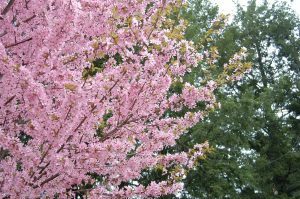 This tree is categorized by its Large, single, clear pink flowers that cover its upright branches that expose dark green foliage. Fall brings orange-red to purple foliage color. A choice for a specimen tree for small yards, group plantings or as a street tree. It can grow up to 25′ tall and 15′ wide. Easy to care for, the birds love to hang out in this beautiful tree.